GlucoCare provides support to the pancreas, supports lipid metabolism and digestion to increase nutrient availability, and helps reduce impact of stress in the body. 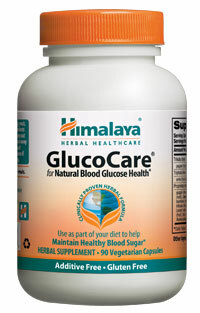 GlucoCare includes Gymnema, history's 'sugar destroyer,' clinically shown to temporarily reduce the ability of the intestines to absorb sugar from your diet. Other key ingredients include important adaptogenic herbs such as Holy Basil and Turmeric to reduce the impact of stress. 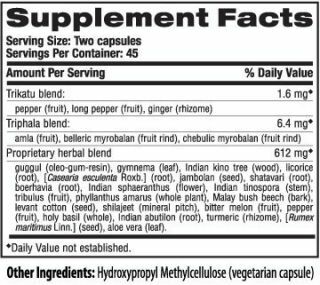 Bitter Melon has polypeptide-p, which provides support to normal blood sugar levels already within the normal range, and Guggul supports normal lipid metabolism and cholesterol production already within the normal range.